Finished it on 8/23/2018. 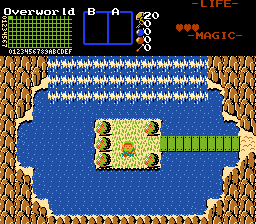 I am now working on more of the overworld and am going to start work on Level Four soon. Due to unforeseen bugs in the tileset, All of the "Guys in caves" will be moved to a different D-Map specifically for caves and likely will be changed to treasure chests instead. Some items have and will be changed from their locations in the original release of this quest. ~ Heart Pieces are the most affected by this, but a lot of other things will be too. There will be plenty of other differences in the final product of the quest before release as well.